Over the last few years we’ve used a tremendous number of plugins while building WordPress web sites for our customers. Each year we try to share our favorite plugins that we’ve found. So, without further ado, here are our favorite plugins (in no particular order) for 2015. Enjoy! We’ve used this plugin on numerous web sites. It seems to be the most useful on maps of the USA. For those times when you need a clickable map of the country, but the image map also needs to be responsive. A simple plugin that lets you integrate a number of Google tools right into your site, including Webmaster Tools. Similar to Jetpack’s tool for showing and hiding widgets based on conditions, this plugin is suitable if you need just this feature. A simple jQuery audio player for when you need to embed an audio file. A nice forum system for WordPress. If you’re looking for a simpler way to handle widgets and which pages they display on, this tool is for you. It’s simpler than Widget Logic, but lacks some features. A handy vertical accordian menu system that seems to work great on both desktop and mobile. Easily offer your visitors the ability to subscribe to comments. We’ve used this plugin on every site where we integrate WooCommerce and a SSL certificate. It makes it easier to pick and choose which pages should be encrypted on your web site. A very popular plugin that can be integrated into almost any web site. It allows you to have a button that creates a print-friendly version of the page. It’s difficult to customize the end result. 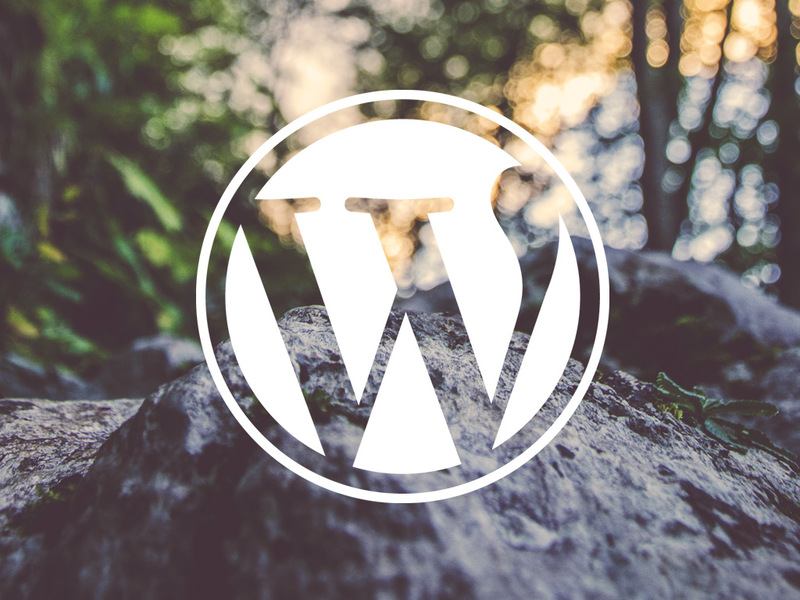 Some WordPress themes add a paragraph tag automatically in the post area. If you need to include an HTML component but don’t want to wrap it with paragraph tags, this plugin might be the ticket. This plugin hasn’t been updated in a long time, but it’s a simple way to add a paypal short code to your website. For those cases where you need a really robust WYSIWYG editor in your WordPress installation. Pretty much almost never. Adds an extra row of formatting options and lets you arrange buttons in a custom way. Includes options like Underline, Strikethrough, Superscript, Subscript, and Code blocks. MailPoet Newsletters sends an automatic newsletter from WordPress. Advanced features of TinyMCE. Creating and editing tables, lists, search and replace inside the editor window, font family, font size, and more! If you’d like to add an icon to a menu in WordPress, use this simple plugin that utilizes the icon set from FontAwesome. This plugin will turn a menu link into a Facebook social icon. Adds an editing window on the Settings > Reading panel so you can update your robots.txt file. Helpful if you’d like to provide a way for editing the file without server access. For when you need a simple pricing table, and nothing more, try this plugin. Honestly, we’ve had mixed results with this one. On one occasion we ran a speed test with webpagetest.org and it turned out that using Google Libraries slowed our site down. The first time we ran this on a 5 year old blog it reduced the database size by 19 MB. This plugin will optimize JPGs and GIFs when you upload them for size. Checks for broken links on your site and spits out a nice list of links to check and revise. Shows a flyout box at the bottom of pages that recommends a recent post from your web site. Similar to how the NY Times shows related articles. Call to action plugin with a variety of tools. Quickly showcase a gallery of photos from Instagram. One of the most popular plugins for showing events on your site. Useful for conference booking calendars, company events calendars, and more. Gives you a tool to update and edit the crop of thumbnail images. Sidebar control system for WordPress Widgets. If you’re promoting an iOS or Google Play app you can use this plugin to promote it with a banner at the top of your site on mobile browsers. Granular control of how you show recent posts in a sidebar widget. Insert responsive tabs into posts and pages with this plugin. A very popular plugin that will let you quickly integrate a MailChimp signup widget right into your site. Gets a strong five star rating on WordPress. Extremely easy to use plugin that lets you finely manage your web site background, set it to random, or pick a different one for each page. Allows easy customization of the “from” address that WordPress sends emails from. A pretty cool hover plugin that we’ve used on some web sites. Has a nice page-flip effect. The most popular plugin in this genre: Advanced Custom Fields (free and pro versions) lets you create custom fields which you can then display on pages. Useful for extending functionality of WordPress. We’ve used this plugin multiple times to successfully import customer data into WordPress and WooCommerce. A companion plugin to the one mentioned above: Plugin exports in a variety of formats (CSV, tabbed) the customer data from WooCommerce. We ran into an interesting problem where a customers blog running on Go Daddy for some reason wouldn’t publish articles if they were scheduled. This plugin resolved the issue. A handy post list plugin. If you want to list a bunch of posts as a list on a page, you can do it with this plugin. It lets you select a category. Drops in with a short code. We love this plugin! We’ve used it on two sites this year, and it makes it really easy for publishing job opportunities. Plus, tons of plugins and support. Google Analytics by Yoast has become our go-to plugin for dropping in support for Google Analytics. It offers the ability to track outbound clicks, which you can’t do if you simply drop in normal tracking code. Meta Slider is a super-simple slider system that works great, and has strong ratings. We love this map system! We’ve used it to show maps of coffee shops and loan officers. It’s pretty cool. You can set up ad regions, then drop them in. I used it on Arizona Coffee just the other day to randomize the ads I show on my right hand sidebar. If INCH is looking for a way to randomize ads on the sidebar this could be a perfect free plugin to do that. This plugin works in conjunction with Contact Form 7 and automatically saves the contact form submissions to a database. This is helpful because Contact Form 7 does not do this, and if your server encounters a mail delivery issue you will have lost any form submissions. So, use this plugin, or a similar one and start saving your form submissions! We’ve used this plugin to create searchable company directories. This plugin is easy to customize, has a bunch of built-in layouts (such as photo grids, table views, etc.). A way to show staff pages and create a management team page. Redirection is a simple plugin for creating 301 redirects. This plugin is a bit tricky, so as long as you know that going into it you should be fine. A really clean responsive grid for WordPress. A grid display of your posts or photos. A way to showcase different posts in sliding grids. I bet you’ve never seen anything like this before: For when you need an interesting look and feel for your grid accordion. A really cool accordion slider that opens and closes based on mouse movement. For when you want to embed a YouTube channel or playlist into a site. It has a nice grid system that is responsive, and you can customize the thumbnail sizes and positionining. A free plugin for implementing simple bulk discounts. A simple column shortcode plugin. One of our favorite plugins for implementing tables into WordPress. You can customize all of the layout preferences. We like to use FooTable with this plugin to create responsive tables. With TablePress you can import and export your tables as CSV files. Useful if you want to make updates in Excel and then re-import later. A simple and trouble-free gallery plugin. Yet another plugin that will make it easy to import products into WooCommerce. A simple plugin that automates spam clean up. If you are running Akismet, you probably don’t need this plugin. We recently used this plugin to put up a coming-soon page for a customer. You can insert some HTML for your coming soon page. People who are signed into WordPress, or have a white listed ip address will be able to see the WordPress site. A plugin for importing a Joomla database export. Useful for those times when you need to convert a bunch of pages to posts, or vice versa. If your theme doesn’t have Retina support built in. You can use this plugin to fake it! One of the definitive plugins for handling import of data into WordPress. Offers the ability to offer dynamic pricing discounts to customers and users (WooCommerce). Just exactly what it says: Enables you to edit user roles. An option for when you need responsive tables in WordPress. FooTable is our favorite plugin to use in conjunction with TablePress (mentioned above). This plugin basically makes your TablePress tables responsive. You can also add a css class to any existing table and it will automatically assign the FooTable styles to it! Works amazing, and we’ve used this on several recent web sites. A new plugin from the WooThemes crew that promises to be a new page builder. We still like Visual Composer the best. A simple dashboard you can embed that will automatically show live stats on your dashboard from Google Analytics. Useful if you don’t want to sign in all of the time, or want to grant writers access to some statistics. A useful plugin for when you want to include an announcement bar at the top or bottom of your site. You can specify what pages it should show on, and customize the color. We recently used this plugin to implement a Japanese translation for a customer. They had found this plugin and recommended it. We can also recommend it, and say a bit about it: It utilizes the Google Translate API but you don’t need a separate license for it, since you use the Prisna API. Pages are translated on the fly, but then are cached on the database. What’s cool, is you can customize the translated content and the plugin keeps those. You can also tell it to not translate certain pieces of content. It supports a huge number of languages, so you can do whatever you want. One other cool feature is you can set up subdomain redirection. So, if you set up countrycode.domain.com it will detect that and show the correct translation. A helpful plugin for finding and detecting mixed-content. A tool for password protecting pages and posts on WordPress. We’ve used this plugin on several web sites and have always found it to be extremely easy to use. The pro version includes booking engine features, and support. The plugin can be customized in almost any way. It is highly flexible. That’s our list! If you enjoyed our list, feel free to share, or check out the list we made in 2014 and 2013. Did we leave off your favorite plugin? Well, let us know in the comments!